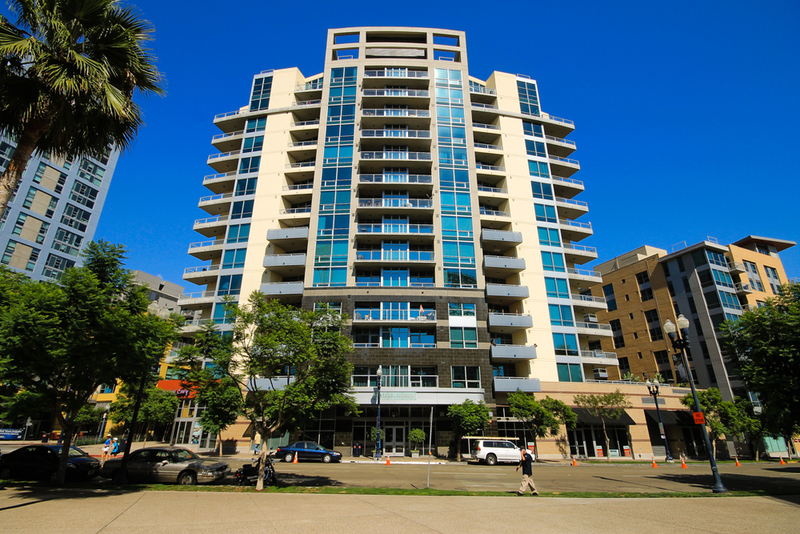 Nestled in San Diego’s rapidly developing downtown neighborhood, East Village, Park Terrace sits around the corner from everything. The Park Terrace complex includes two towers--8 and 14 stories high--flanking a street-level paseo, ground level retail, and two levels of subterranean parking. The residential towers overlook the San Diego Central Library and Petco Park, home of the San Diego Padres, which is so close you can hear the crack of the bat from your living room! Upscale entertainment options like shopping, dining, bowling, dancing, live music are all within minutes of Park Terrace, and Downtown San Diego’s iconic Gaslamp Quarter is just 4 blocks away.